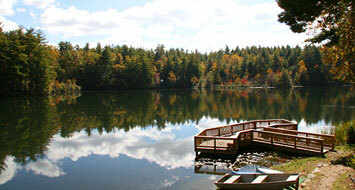 Photo from Kanuga Conference Center. It is a beautiful place to spend a few days in Advent. It’s quiet here. This is partly because it is early and partly because all of what surrounds me is God’s creation. This is a familiar space, both in terms of landscape and the holy place I have found myself in yet again. There are familiar travelers with me – a few who I have been blessed to share the journey with for years. There are others who either come on occasion or have come for the first time. All come seeking… a thin place – the place that finds the Holy to be the very air that is breathed, the very sight that is seen, all that is audible. Waiting…listening….being still and knowing – all to prepare the way of the Lord. Ah, the blessing of Advent….